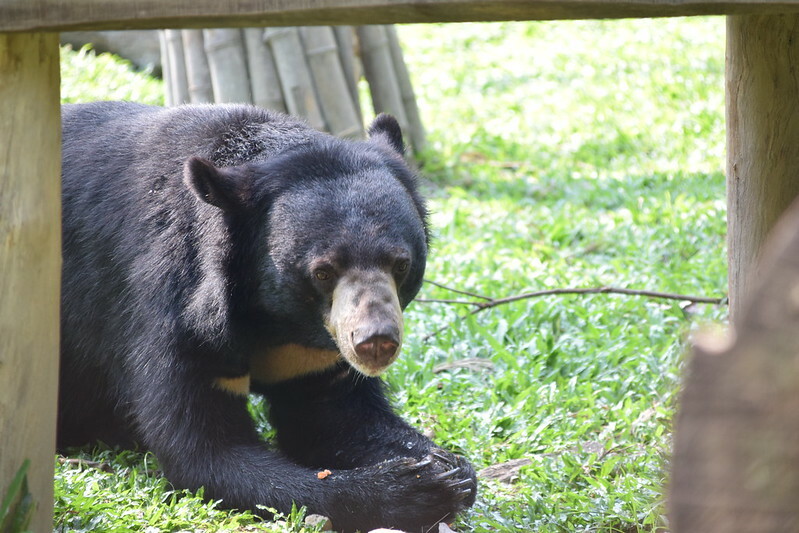 Moon bear Jeffrey lost part of his tongue on a bear bile farm, but since being rescued, he spends days foraging and he couldn’t be happier. 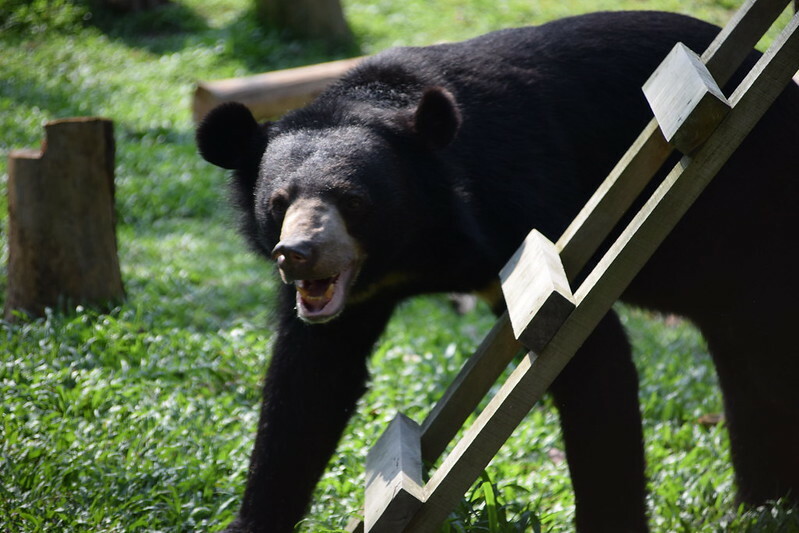 When moon bear Jeffrey – then known as Cloud – was rescued from a bear bile farm in Vietnam in 2017, rescuers where shocked to realise he was missing part of his tongue. Jeffrey was seen struggling to eat properly and a closer inspection revealed two thirds of his tongue had been torn off in a traumatic injury. Today, everything is different in Jeffrey’s life. He has been freed from the tiny bear farm cage which held him for so much of his life. He is finally free from pain after receiving urgent health care. And he lives in a large outdoor enclosure full of food, friends and surprises so that every day is one worth living. While no doctor can return Jeffrey’s tongue, he has learned to live with his disability and his carers do what they can to make life easier. “Jeffrey will be marked forever by the legacy of his time on the bile farm, but his desire for life is seeing him through. 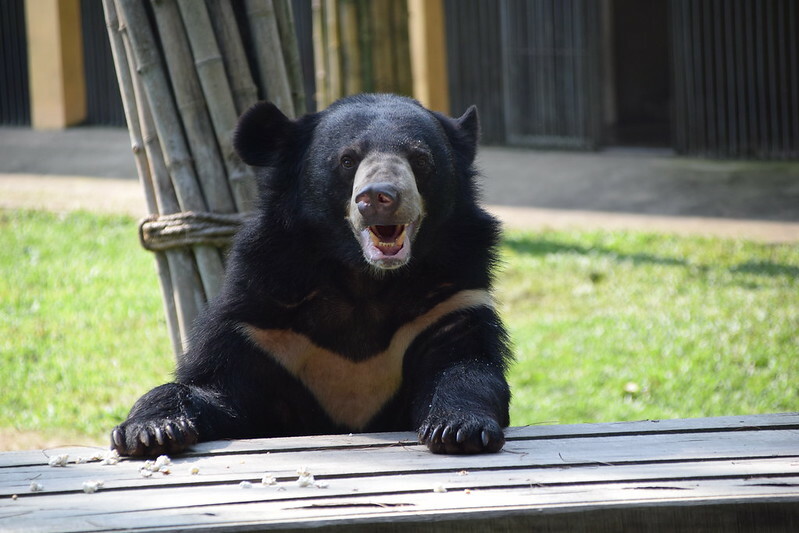 The nearly 200 bears at Animals Asia Vietnam Bear Rescue Centre are encouraged to explore their enclosures and forage for their food just as they would in the wild. Puzzle feeders are often employed to challenge the bears to work out how to get particularly tasty snacks from unusual places. This form of enrichment encourages natural behaviours and also exercises the bears’ minds. At the sanctuary, moon bear Jeffrey has made new friends. His favourite wrestling partner is Humphrey – particularly in the pool – while he has also remained close to Jane and Xanadu who were caged next to him on the farm for many years.